Manassas, VA– Dr. Ronnie Floyd is scheduled to speak on Wednesday, February 25, 2015, during the Worship Service at the NRB 2015 International Christian Media Convention in Nashville, TN. "Dr. Ronnie Floyd has a tremendous burden for prayer and a passionate vision for revival in America,” remarked NRB President & CEO Dr. Jerry A. Johnson. “NRB is proud to know that the Southern Baptist Convention has elected one of our own to lead this strategic denomination. We are thrilled Dr. Floyd will be preaching in our Wednesday night convention Worship Service. This session is open to the public, so we are encouraging Christians and area churches to join NRB for this event." Dr. Floyd has been a pastor for more than 36 years and has served as the Senior Pastor of Cross Church, Northwest Arkansas, since 1986. In June 2014, Dr. Floyd was elected President of the Southern Baptist Convention. In Dr. Floyd’s 27 years of ministry in Northwest Arkansas, his church has baptized more than 17,000 people. Thousands gather in multiple worship venues weekly. 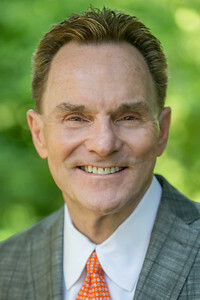 Beyond his church and denomination, Dr. Floyd has spoken at many national and international conferences, and has been featured on numerous television and radio programs. Dr. Floyd is the leader, founder, and host of “The Summit, the Businesspersons Luncheon of Northwest Arkansas,” a weekly lunch seminar that hosts guest speakers from across the country. In addition, Dr. Floyd has authored 20 books, including The Power of Prayer and Fasting (revised and expanded), 10 Things Every Minister Needs to Know, and Our Last Great Hope: Awakening the Great Commission. His next book, FORWARD: 7 Distinguishing Marks For Future Leaders, will be released in 2015.